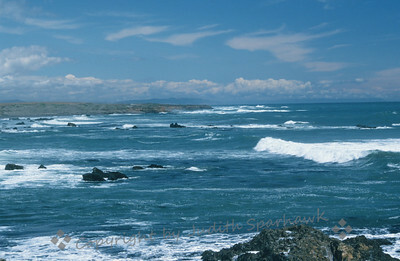 Visit views of some of my favorite places. 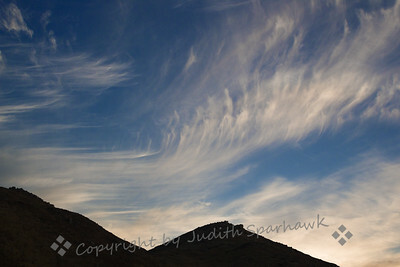 I was out birding at San Jacinto Wildlife Area late one afternoon, and noted this wonderful sky as it approached sunset. 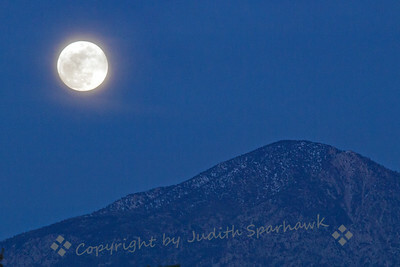 I went out to get my mail yesterday and saw this view of the full moon rising above the mountain. 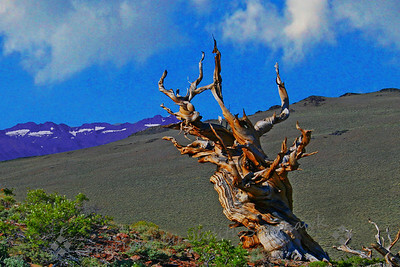 I ran in to get my camera and took several shots. By the time it rose to this level, it showed mistiness in the air. As this is the second full moon in a month, it is called a "blue moon". 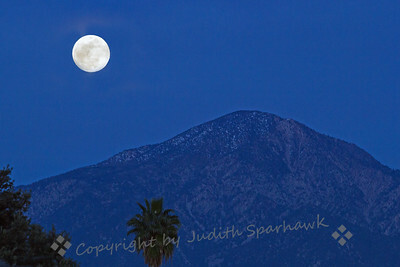 Another shot of the misty view of the full moon rising above the mountains around Redlands, CA. 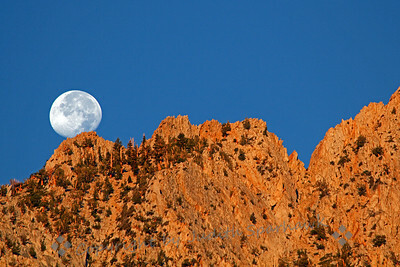 This is another view of the moon rising, showing some of the closer foliage below. I processed it to lose the mistiness in the sky. Not sure I like it any better than the others. After I spent a few minutes shooting the full moon, I looked just a bit south, still from our parking area, and saw pink clouds in the sky, from the recent sunset in the west. 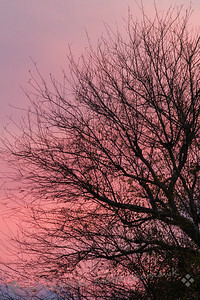 I took a few shots of this bare winter tree with pink clouds showing through. This sunrise was my first one of 2018. I was birding down at Salton Sea for New Years Eve and New Years Day. 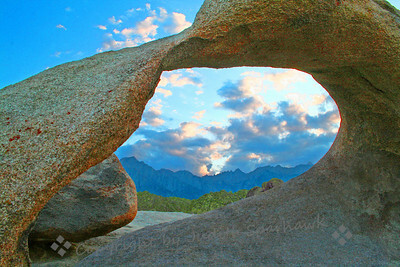 On Jan 1st I got up very early to get to this location before light. 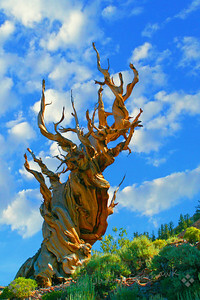 This is a pond not far from Salton Sea itself. There were actually a large number of Snow Geese on the water, which weren't too visible in this light. 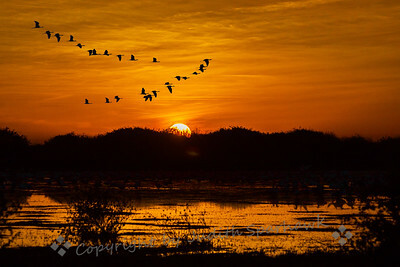 A flock of Sandhill Cranes are flying in the distance. 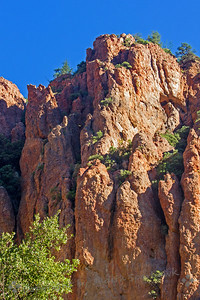 View of the canyon cliffs at Cave Creek Canyon in Southeast Arizona. 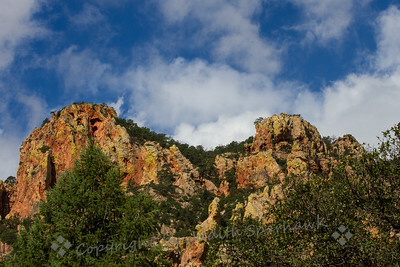 This view is of the canyon walls of Cave Cree Canyon in the Chiricauhua Mountains in Southeast Arizona. 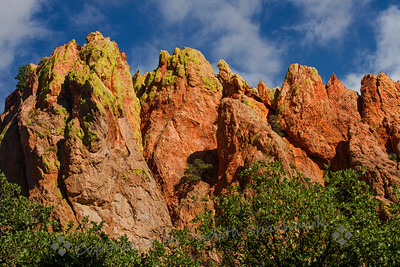 The yellow green on the red rock cliffs is a lichen that grows there. 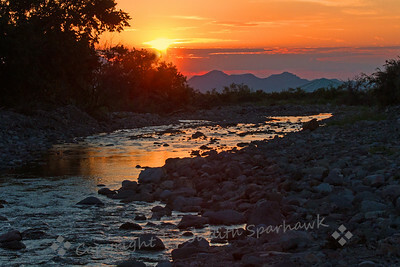 Cave Creek Canyon in the Chiricuahua Mountains in southeast Arizona, is surrounded by high cliffs of wonderful red rock. 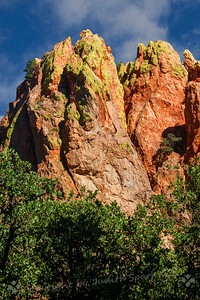 The red rocks of Cave Creek Canyon have a bright green lichen that makes an interesting contrast. 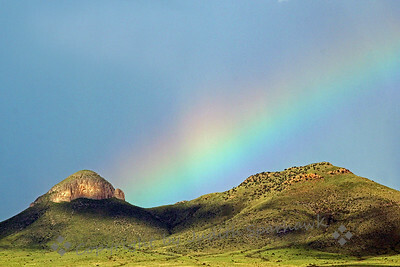 ~ Driving on Elgin Road out of Sonoita, Arizona, this beautiful rainbow developed over the summer-green desert landscape. I finally found a place to pull off the road to capture the moment. 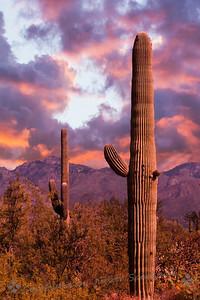 Saguaro National Park, Tucson, Arizona. 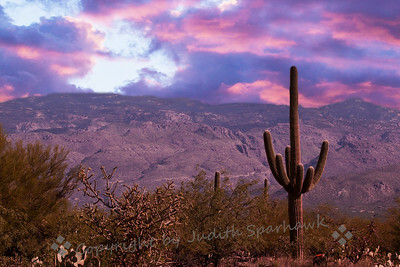 Photographed at Saguaro National Park, Tucson, Arizona. 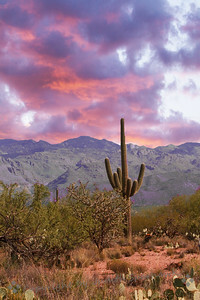 Tall Saguaro Cacti stand sentinel in Saguaro National Park, with a pink glow from the sunset. 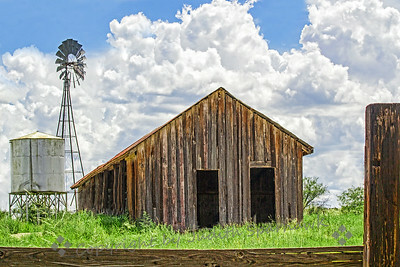 This is a small part of an old historic ranch in southeast Arizona, amid the Cienega Grasslands. 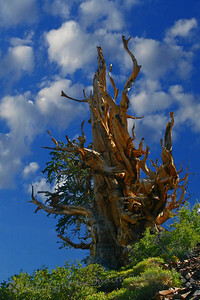 It was photographed during the monsoon season, with wonderful clouds in the sky. 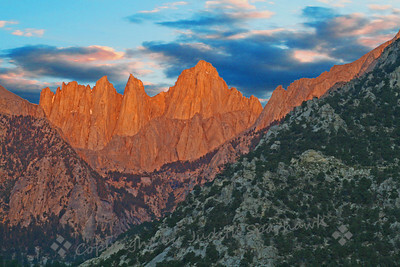 Sierra Sunrise and Moonset ~ While birding at Division Creek, above Aberdeen, the sunrise painted the gray Sierra crags with a warm glow. 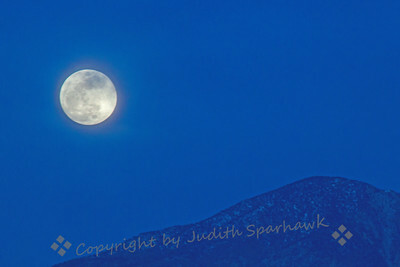 At the same time an almost-full moon was setting behind the mountain peaks. It was a magical moment.